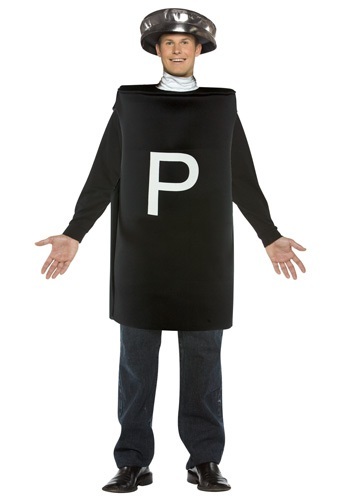 Black tunic with letter "P"
Some people are just so bland. So vanilla. Like salt on your burger. Like plain white bread. You're not that way, are you? We really hope not. We know far too many normal boring people that like their lives as plain as an unseasoned potato. It would be a sad day if you were one of them. Like, we don' expect you to bungee jump off buildings, have near-death experiences, or douse everything in Tabasco sauce, but hopefully you like a little excitement now and then? A little zest to your day? Surely you're up for a little optional spice now and again? That's what we thought. We're glad you agree with our demand for occasional flavor. That's what makes life interesting, isn't it? We can relate. You'll occasionally try new things. Splurge and get yourself a fancy coffee. Or add good ground pepper to that roast you're cooking. What? Pepper is awesome. Sure, some people think it's boring too, but really it adds so much flavor with so little effort! It's an easy way to add spice to your day. Steaks and burgers come alive with this seasoning, which is totally why we thought you'd appreciate it. As a matter of fact, we thought you'd appreciate it so much that we have this Adult Pepper Costume. It's a 100 percent black polyester tunic with a giant white "P" printed on the front (for pepper!). There's also a silver hat with holes to look like a spice shaker. That's right, not only can you appreciate a little bit of flavor now and then, you can dress as one of the ultimate spices!